In a world where disruptive consumer products are the norm, beverage companies are still struggling to innovate beyond ingredients and flavour. How to break through? PepsiCo has aimed to do this with a concept successfully trialed in Brazil, now launched in the US. 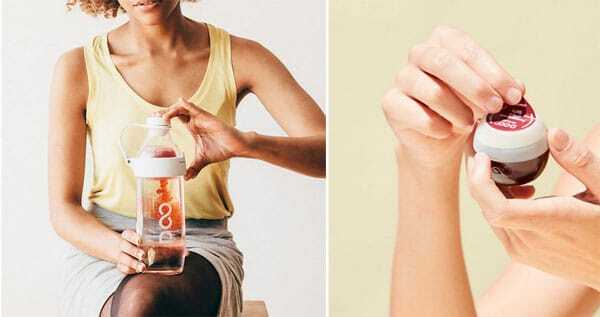 Drinkfinity is a personalised beverage designed to fit the individual lifestyles of today’s busy go-getter Millenials. With Drinkfinity, people can “Peel, Pop and Shake” to combine the dry and liquid ingredients contained in portable pods with water in a specially designed, reusable, BPA-free bottle, and create beverage blends in a variety of flavours. “Drinkfinity is a delicious new beverage option that allows today’s busy consumer the unique opportunity to personalise a drink based on their individual preferences and unique lifestyle needs,” said Hernan Marina, Vice President, Global Business Innovation, Drinkfinity. “We are extremely proud to launch Drinkfinity in the United States,” said Luis Montoya, President, PepsiCo Latin America Beverages and Drinkfinity. Multiple flavour profiles available include Acai, Pomegranate Ginger, Elderflower, and Coconut Water Watermelon, which are made up of dry and liquid ingredients like chia seeds, acai fruit, ginger root extract, and concentrated fruit juices. The dry and liquid ingredients within each pod are sealed separately in dual chambers until the beverage is mixed with cold water in the Drinkfinity signature BPA-free, dishwasher-safe vessel to create a 20-oz beverage that can be easily enjoyed on the go and throughout the day. Ingredient pods use approximately 65% less plastic than a 20-oz ready-to-drink beverage bottle. Each pod is free of artificial sweeteners and artificial flavours, and contains between 30 and 80 calories per 20-ounce beverage. Drinkfinity offers 12 unique blends, a complete list of which can be found on www.drinkfinity.com. The Drinkfinity pods are available in packs of four and retail between $5.00 and $6.50, and the Drinkfinity vessel retails for $20.00. Drinkfinity can be purchased exclusively at www.drinkfinity.com. For each purchase in the US in 2018, Drinkfinity will donate $1 to Water.org to help provide one year of safe water for one person in the developing world, up to $100,000. When it comes to packaging design and sustainability, refill is the great white whale we’re all elusively chasing after. Well, PepsiCo has now taken us a step closer with Drinkfinity, a disruptive beverage looking to redefine the way we drink. Consumers simply fill the branded BPA-free 20-ounce Drinkfinity vessel with water, pop the concentrated drink pod in the top of the bottle, shake it up, and voila….